Our law firm brings serious injury and wrongful death lawsuits against ManorCare in Maryland when their negligence brings significant harm or causes death. This article provides an overview of this company and insight on bringing nursing home malpractice claims against it. HCR ManorCare provides health care through nursing homes, assisted living facilities, rehabilitation centers, hospice and home health care. It operates under three names—ManorCare, Heartland and Arden Court. Though based out of Toledo, Ohio, it has 56,000 employees through more than 500 locations in 32 states. It is, by some counts, the second largest nursing facility provider in the country behind only Genesis HealthCare. It is the biggest provider in Maryland. ManorCare was an independent company before it merged with HCR in 1998. Before the merger, ManorCare was based out of Gaithersburg, Maryland and had an acute care hospital (which it later sold), 42 assisted living facilities and 171 nursing centers. HCR ManorCare wears a number of hats. They provide long-term nursing care, short-term care (for example, for patients requiring rehabilitation after surgery), Alzheimer's care and hospice care. Whether because of a shift in ManorCare’s focus or hospital overcrowding, ManorCare has assumed the role of caregiver for patients who have severe medical conditions. Ideally, that goal would be supplemented with adequately trained staff, competent and caring doctors, and adequate staff-to-patient ratios. Too often, however, our medical negligence lawyers and nursing home malpractice lawyers find that these grandiose goals are undercut by companies that care more about their bottom line than the care they provide their patients. To put it mildly, many times nursing homes and health care centers like these “cheap out”—they have too few staff, they don’t properly educate and retrain the staff, and they hold on too long to patients who should be sent to the hospital. Prediction: you won't see this on the ManorCare brochure. By far, the largest percentage of nursing home injuries we see are skin ulcers, also called pressure sores and bedsores. These are holes that start in the skin, often because bed-ridden patients (particularly those with Alzheimer's, dementia or significant physical impairments) are not moved frequently enough. Lying in one position for extended periods of time cuts off blood flow to some areas of the body. Deprived of oxygen, those skin cells die. Then the tissue underneath starts to die. Before long, patients acquire deep and often untreatable ulcers that are black, necrotic and penetrate to the bone. Bedsores are a normal part of nursing homes, and minor Stage-1 bedsores do not necessarily imply negligence. Even if they are a result of negligence, there is usually limited injury for this type of bedsore. Significant nursing home malpractice happens when staff (1) fails to recognize the presence of pressure sores, and (2) fails to treat existing pressure sores. Caught early, a further injury is preventable. Ignored for too long, the damage may be long-lasting or permanent. It is not uncommon for patients to die because of infection caused by bedsores. 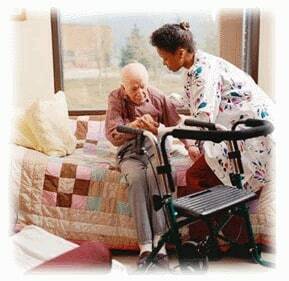 Nursing home falls are a second common nursing home injury. 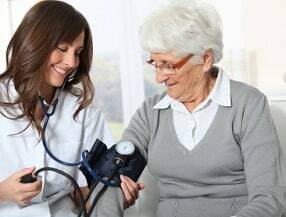 People admitted to nursing homes and other long- or short-term care facilities often have physical limitations, whether because of a recent surgery, advanced age, or disease. Patients must be cared for based on these limitations. Some patients should have beds with side rails to prevent them from falling out. Many falls happen because the patient-to-staff ratio is so high that patients do not have help going to the bathroom. When they attempt it on their own, which they know they shouldn’t do (but are left with no choice), injuries happen. It can be difficult for the elderly or people who already have significant injuries to recover from new bone fractures. Our firm has faced down HCR ManorCare on a number of occasions. Anecdotally, it appears to have a large “market share” of nursing home malpractice lawsuits. One lawsuit in particular, against a facility in West Virginia, left jurors so angry that they awarded over $90 million to the family of a woman with dementia who died after the facility’s failure to treat her decubitus ulcers and dehydration. Post-trial motions show ManorCare’s lawyers arguing that the state’s medical negligence noneconomic damage cap should apply; and plaintiffs’ lawyers claiming that the medical malpractice cap shouldn’t apply because the failures alleged were basic services—failure to provide water, food and other essential care that required no physician involvement. Evidence showed a profit motive for the company—plaintiffs argued that the company took home over $4 billion in profit every year (though, Manor Care later argued that its actual profits were closer to $75 million). Importantly, every state has specific rules on punitive damages. In Maryland nursing home neglect cases, punitive damages are not available. This fact should not deter patients and family members from bringing a claim to hold negligent nursing homes responsible for their conduct and to force them to pay compensatory and non-economic damages. ManorCare generally requires clients and lawyers - including us - to sign confidentiality clauses which make it more difficult to get settlement information. Clearly, at least in Maryland, ManorCare is not letting a lot of viable claims go to trial because they are settling them with plaintiffs. As a result, the information on settlements and verdicts that do come out though verdict reports and such is more limited. Also, and this is a critical point, ManorCare lets only the weakest cases go to trial. In the cases they are settling, they are likely allowing plaintiffs' nursing home lawyers to report the smaller cases. It is not, by the way, just ManorCare. The entire industry is adept at pushing its negligence under a rug and away from the eyes of the general public. $91.5 Million Verdict in West Virginia. An 87-year-old woman, capable of walking on her own, dies within three weeks of moving into the facility based on the abysmal care received. Confined to a wheelchair from the time she checked in, her most basic needs such as food, water, and proper grooming is not provided. The jury returned a verdict of $80 million in punitive damages and $11.5 million in compensatory damages. Can you find a better example of why Manor Care rarely lets cases go to a jury? The West Virginia Supreme Court in 2014 reduced this award to approximately $32 million. But the court still called the Manor Care nursing home's conduct "reprehensible" and chastised it for refusing to "authorize the use of additional employees to ensure a staff sufficient to meet even the basic life-sustaining needs of its residents, who are among the most vulnerable helpless citizens of West Virginia." Well said. $72,500 Settlement in Pennsylvania. Woman suffers a stroke, requiring a feeding tube. After her death, her family sues alleging Manor Care failed to properly treat her pressure sores. Plaintiff's lawsuit alleges that the woman developed several pressure ulcers on her sacrum and heel that lead to sepsis and her death. $350,000 Settlement in Pennsylvania. Wrongful death claim involving the dislodgement of a feeding tube that led to peritonitis causing sepsis and eventual death. $175,000 Settlement in New York. An 87-year-old woman falls going down an access ramp of a bus that is transporting her. She suffers multiple leg fractures and a blunt-force injury to her lungs, among other injuries. Her estate sues alleging negligent supervision. $275,000 Settlement in Oklahoma. No further information was given. $250,000 Settlement in Pennsylvania: Suit is filed against two nursing homes, ManorCare and Golden Living Center, after the death of an elderly man due to a multitude of health issues that manifested themselves while under the care of these facilities. During his stay at these “nursing” homes, he allegedly suffered multiple pressure sores, progressing to Stage IV wounds, wound infections with MRSA, sepsis, falls, skin tears and lacerations cellulitis, weight loss and malnutrition, dehydration, urinary tract infections, pneumonia, medication errors, poor hygiene, and severe pain. From the time he was initially admitted in early September, until his death in mid-February, he was in and out of the hospital as a result of this gross negligence in care. The negligence and wrongful death suit filed by the man’s daughter alleged a host of failures on behalf of the two facilities, including the failure to report significant changes in the man’s condition, failure to properly train staff, failure to prevent developing infections, and failure to provide adequate nutrition, hydration, and medications. The court approved a partial settlement against ManorCare of $250,000 and allowed the claimant to proceed with litigating the matter against the remaining Defendants. $2 Million Verdict in Florida. A 72-year-old man, once a professional wrestler, died a horrible death after absolute egregious and neglectful treatment received at a Florida ManorCare. When admitted to the facility, he was able to communicate well and had no need for a wheelchair. Not long after being admitted, he lost his ability to both walk and talk. He lost more than 30 pounds in his first two months of being at the facility. He sadly began to suffer severe skin infections and ulcers after not being turned or bathed properly, infections which were so bad that a dual amputation of both feet was considered. The man, however, was in such poor health that his body couldn’t withstand the stress of the feeding tube. A jury awarded the man’s family almost $2 million dollars, an award which ManorCare said they would appeal as they alleged his death was the result of complex medical issues, not neglect. Their appeal has been denied. $54 Million Verdict in New Mexico. A 78-year-old woman dies of gastrointestinal hemorrhaging, with evidence that the internal bleeding had been going on for several days. Allegations were made that the facilities’ caretakers had destroyed evidence. Manor Care is represented by a number of good lawyers in Maryland, including Tom Monahan (Goodell Devries) in Baltimore (and Virginia, apparently), Jim Gleason in Rockville (Gleason, Flynn, Emig & Fogleman), and Andy Vernick in Annapolis (Wharton Levin Ehrmantraut & Klein). Manor Care has an attorney in Toledo, Ohio that supervises claims against Manor Care in Maryland. Scott Pouton (internist). Defended the care of Manor Care-Roland Park. Frank M. Ryan (geriatric medicine). He has opined that the victim's Stage IV sacral ulceration was properly treated by Manor Care-Rossville and Manor Care of Towson. In another case, Dr. Ryan defended the care of Manor Care-Dulaney. Michael Harper (internist/geriatrician). Defended the care of Manor Care-Ruxton. James Embling (internist). Defended the care of Manor Care-Rossville in a wrongful death case. The majority of meritorious nursing home lawsuits against Manor Care in Maryland do reach a settlement. Again, not many good cases are going to trial. If someone you or someone you love was cared for by Manor Care and been hurt or killed by a mistake or neglect, call our Maryland nursing home attorneys at 800-553-8082 for a free Internet consultation to discuss a potential lawsuit. Keep in mind there are no fees or expenses unless a recovery is obtained.